Good Luck Caro in 2019! Karo and Safarova will play! Exiliado, CrossCourt~Rally and SoulDeath like this. Please visit my Caroline website. CrossCourt~Rally, Sorana and posthuman like this. Nice to see Pegula venture out and play more international WTA events. Seems like she was afraid to leave the USA. I wonder if Swiatek could hope for a WC with Kris Plis, Bouzkova, Smitkova, Muchova all in Q. The only ITF WC she got was in Prague. CrossCourt~Rally and posthuman like this. Peng 鵬 is a giant bird that transforms from a giant fish. yes, exactly. On the other hand, Timea is playing little WTA tournaments this spring. Ok, she is playing FedCup but she would need some points to move up in the rankings. Wonder where she is playing next to prepare RG ? Timi always played in Morocco. 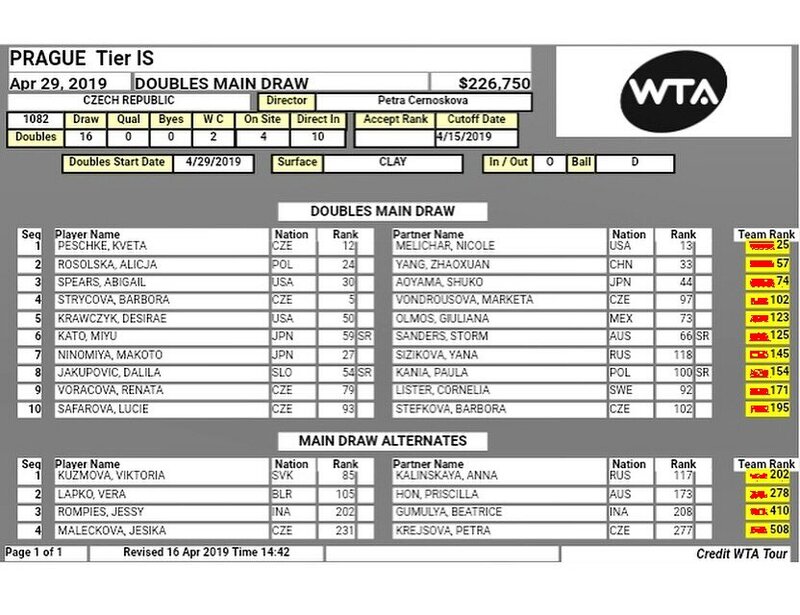 She would have to go through qualies there or get a MDWC (as a former champion). I would be surprised not to see her there. Exiliado, CrossCourt~Rally and zsl1010 like this. I wonder if she’s on any other EL’s leading up to the FO ?